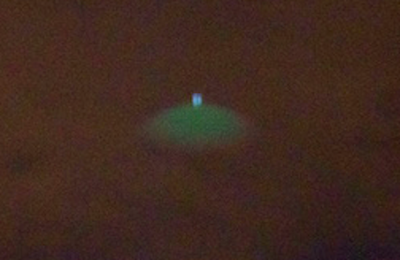 UFO SIGHTINGS DAILY: Green UFO Seen Over New York City On Aug 8, 2015, UFO Sighting News. 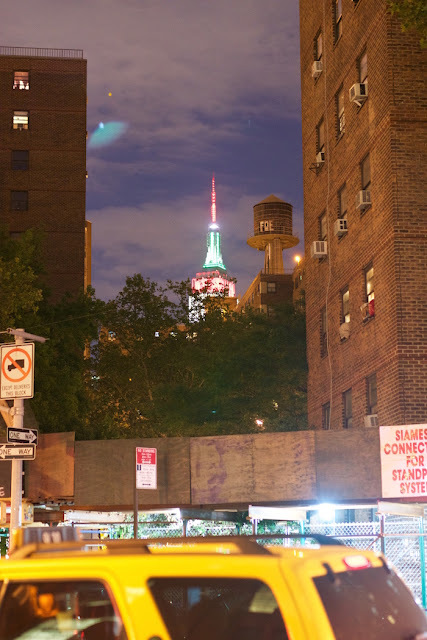 Green UFO Seen Over New York City On Aug 8, 2015, UFO Sighting News. This UFO was seen in New York City this week and looks a lot like the UFO seen in the Netherlands back in May 16, 2015 (click here to view). The human eye is less perfect than the digital eye so its understandable that the person didn't see it till they got home to upload it. If has seen this UFO in NY, please tell us in comments. 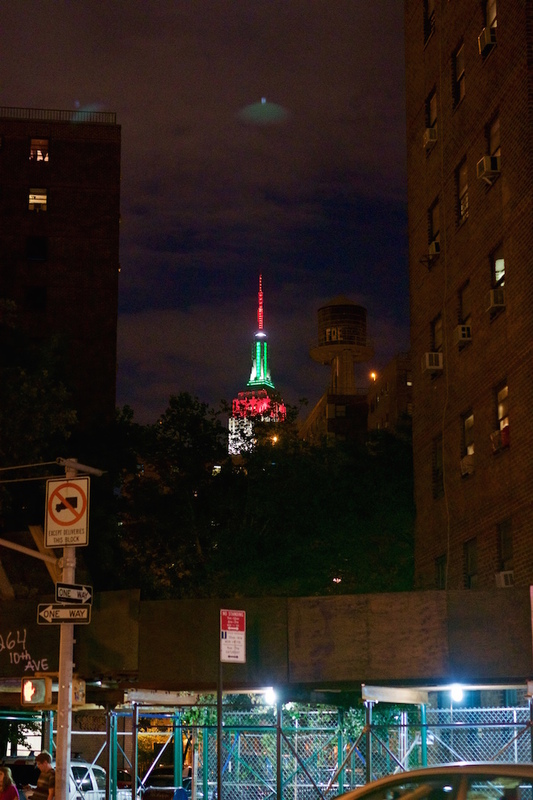 I was walking north on 10th Ave taking pictures. I didn't notice that I had photographed anything until i downloaded my images several hours later at home. When I first saw them I thought they might have been lights from a helicopter but it wasn't dark enough for the whole body of an aircraft to be obscured. Whatever it is, looks segmented with gaps between the lights.In one picture you can see a light seemingly ascending in the distance. I really don't have feelings either way as I've always been a believer in UFO's. Always thought that i would see something sooner or later. As i mentioned, i didn't see these images until i downloaded them.